Praise God for the New CDW Prefect. May this be a sign of a future restoration. Ad Multos Annos! Clearly, the right man for the job. Good. Let's mandate it now for all masses throughout the world. Will this translate into a withdrawal of the indult to recieve Christ sacriligously in the hand, now? Thank you, thank you, Cardinal Cañizares Llovera. We await his leadership and directives to move constructively on these comments. It appears that Pope Benedict is preparing the way for further "canonical" liturgical changes by first modeling these changes prior to a universal law mandate. For example "Benedict's" altar arrangement even "ad populum" and kneeling for Holy Communion on the tongue. Perhaps Cardinal Canizares will be the man of implementation. Fasten your liturgical seat belts! Never give an order which you can not enforce! is good advice. I fully agree with the comments by the Cardinal. Only, how is he going to enforce the change? Failure to do so will make our situation worse than we had it before. The question is when are these attitudes coming to the local level?! It's great to hear them from Rome, but apparently it doesn't mean much for us..... YET?! This intense consecration on the personal preferences of the reigning Pope as normative for the Roman Rite of the Divine Liturgy is almost unique in history. This style poses all sorts of ecclesiological problems -- and would embarrass even Pope Pius IX at his most centralizing of Papal power. The pattern heretofore has been that abuses become entrenched, entrenched abuses become local indults, and local indults become the norm. Repairing the laxity in worship is clearly the first step, but how to proceed in a Church where disobedience has become endemic? Let us pray that the new Prefect will find a way. I am very happy about what the Cardinal has said! The question still remains how could all these liturgical changes ever become reality in our local churches. Is there any published information, for example, how the implementation of the necessary changes has taken place in the liturgies of the Neocatechumenal Way; or how the "pro multis - for many" change has succeeded in different countries; or any other liturgical rule? If the rulings of Rome are not accepted and put into practice, then our joy has not much echo anyway. More reverence will not be brought to the Novus Ordo before receiving communion in the hand and standing up is not banned forever. These pronouncements are nice but add nothing to sort out the problem. Presentation is by all accounts our most difficult issue I believe. But it's also whether or not our Catholic sisters and brothers are willing to accept other issues like Rome's stand on abortion and euthanasia; the need for confession; and once again, the value of the Rosary. And now more than ever before, the inclusion of the Bible as an important element of prayer to be brought more cohesively into our lives. YET, it always comes back down to how LOVINGLY the presentation (message) is given, and whether or not it's ACTUALLY LIVED OUT by the messenger. Then, we have historical models to live out the rest of the process by. When the Actuality of Christ's Presence in the bread and wine was reiterated by Him but scoffed at by His other followers...they chose to leave and we were left with those who wished to follow Him as He NEEDED THEM to believe in Him. Again, in Acts, we find when individual community believers were lovingly presented with their sin and how it failed to fit within the cherished ideals of the community's most important values, we see that they were 'informed and released' from the community of believers until they changed their behaviors. Thus what was integral was reiterated as important and sacred for the main community of believers, while those who disagreed were given the time away to reconsider their individual actions and beliefs. It also served to let the wider group of non-believers see just how important these values were to us and probably influenced many of those to seek to understand those beliefs themselves. But, Clarity was CHARITABLY drawn out for the dissenters, and while the community lived out the difference, the dissenters could actually come to see that it was a grave sin and could then clearly choose to change over time if they wished. Freedom to choose here was further facilitated by greater clarity away from the community. We must begin to know who and what we truly believe in our church and then who are those of us that believe and wish to follow those beliefs. Then we must marshal the strength to choose a LOVINGLY, Clear, Willful, and Verbal Approach in helping those who still believe, as we are asked by Benedict to believe, to believe more fully, and also help those who will choose otherwise, to SOON find their other path outside our community. Hard but lovingly realistic as we saw with Christ..
We're already far too close at this time, to a divided community of Catholic believers. We should already know who truly believes what and who will stand up for those beliefs when faced with their denigration in our secular society. We can't afford to be caught with our own division unaccounted for and unspoken to before this new year completely overtakes us. There’s more and more confused dissenters and far more divisive forces aligning against our values in the culture at large. NOT to mention or underestimate the crush and power of the worlds financial undercurrents in forming a one world lockstep in tune to its agenda. We've already seen last year just what occurs in our political process alone among Catholic Christians as well as other Christians. We know many will go on with their same 'cafeteria' beliefs until our lack of decisiveness to become a true community as Christ and Benedict asked us, and our former bible history has shown us, becomes our greatest stumbling block of all. A sad footnote of unnecessarily weak division demarcated in some future history book. Not the way I choose to live out these coming events. We must offer this to the community of believers as THE WAY for us, and then let those who choose to stay and grow with us, stay. And those who choose to go to their next path, go. But we must do it all clearly and lovingly along with the informed priests and bishops who can and will actually stand up for what Catholicism truly stands, knowing that we walk with them and not in confusion, disagreement and disarray back in the pews, as they step up to the firing line. But we must start this now! Perhaps, before we’re told what to believe from other quarters. And we may wish to know who among us we’ll be able to count on as a Catholic community of true believers. You can hold your breath and turn blue waiting for the man "subsisting in" the Chair of Peter to exercise authentic Catholic discipline. The blood of the martyrs has run ice cold in the Novus Ordo. Human respect, not love of God, is the order of their day. A human being is never as great as while he/she is kneeling in front of God. The only way this will happen is if the Bishops are told to tell their priest they MUST do this. Otherwise it will never happen. The priest don't listen to their bishops and the bishops don't listen to Pope. It needs not to be just talk it needs to be put into action NOW. As always, it comes down to appointments of new bishops. If only orthodox bishops are named this and everything else will fall into place naturally because they will be conformed to Christ. If heterodox bishops are appointed, then this and everything else will deteriorate because they are conformed to the world. That's it. Anonymoys 15 December, 2008 20:37 said it PERFECTLY! I agree with Anonymous (3rd comment in the column). A great man for the job, a vast improvement over the obnoxious Arinze, but I'll reserve my praise for his statements until these statements are mandated and made Catholic practice without exception. In other words, until Pope Benedict actually mandates a return to kneeling and recieving communion on the tongue and supresses the "option" for Holy Communion standing and in the hand, then these great words are still only words. Talk is cheap. How about some ACTION! 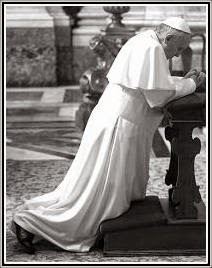 Pope Benedict issued his motu propio, but has not celebrated the Traditional Latin Mass publicly. In the Consecration, he said "many" is correct NOT "all". But he continues to say "ALL". He is Traditional in his heart, but not in his head. Let us all pray for Our Holy Father. Praise be the Lord!!! Excellent start for the new CDW Prefect! These statements should be given the maximum media exposure not only to bishops and priests but to the laity as well. The priest saying the correct words at the Consecration are equally, if not more importantly essential too. Not only that but using one unifying language, Latin. The NO liturgy is so far off track & subject to liberal improvisation that it is & has always been beyond repair. Praise God for this...I've been dreaming about it for years! Including the coming back of veils for women, we used to wear one and grew up with all of these holy things. Traditional is always the best when it comes to praying and attending in the presence of God in His spousal Church. We must respect these, this is the way Jesus all taught us from birth. Please keep the traditionals to come back to all the catholic churches in the world, with the guidance of the Holy Spirit, it will happen. I am excited and thanks to Jesus and His beloved Mother, Our earthly and Heavenly Queen Mother, for unceasingly interceding for us for our own good, now and always. God bless you all. Since The Feast Of Corpus Christi I Have Been Recieving The Blessed Eucharist Kneeling And On My Tongue.. Before I Would Genuflect and Recieve on my Tongue, Now I Am Kneeling To Recieve My Blessed Lord and Saviour..Humbly I Adore HIM. Adoration and Thanksgiving for all that God has done for each of us when we knee to receive Jesus our Lord and God in Holy Communion! After anything touches the Most Holy Eucharist, it must be purified, whether it is the priests hands or the sacred vessel that contains the Sacred Host... according to the Sacred Rite of the Mass because there are many tiny particles of the Sacred Host remaining in the Sacred Vessels after Holy Communion. Often when a large Host is broken into smaller pieces just before Holy Communion, many tiny particles of the Sacred Host are present at the edges of each piece of the Host. Totally unacceptable by anyone who loves and adored our Great God.. There in no thought of ever purifying the hands of the multiple number of communicants. I saw a young man who was discerning the life of a priest examined the Sacramentary after Mass and found hundreds of Particles of the Sacred Species in between the pages of the Sacramentary and on the altar itself. He was very much scandalized and to my knowledge never set foot in that church again. I have received Jesus in the Eucharist in my hand for a long time. I have also been an Eucharistic Minister placing Jesus in another believer's hand. In both cases, I have found profound adoration and respect. The Cardinal has his opinion; I have mine. AT MY CHURCH THERE IS CONFUSHION AMONG CHURCH GOERS, SOME STAND UP OTHER KNEEL.. MANY DO NOT KNOW WHAT TO DO. STANDING FROM THE CHORUS POINT OF VIEW UP IN THE FRONT IT IS NOT A NICE PICTURE NO UNITY IN ADORATION. I KNEEL AND REALIZE THE IMPORTANCE OF IT AND I WOULD LIKE TO SEE THIS RESTORED AS WHEN I WAS LITTLE. I HOPE ALL CARDINALS BELIEVED AND IMPOSED THIS IN ALL CATHOLIC PARISHES MAKING US ALL RECALL THE BEAUTY OF THIS FORM OF ADORATION AND REVERANCE TO OUR LORD. I HOPE TO SEE THIS SOON AND PRAY FOR IT TO COME TO LOS ANGELES. The Cardinal has his opinion; I have mine. But of course the cardinal’s opinion is of much greater weight and more worthy of our respect than the opinion of an anonymous commenter on the internet. Support by the majority of the USCCB, like other requirements from Rome, will likely be minimal (allowance for the Extraordinary Form for example). Surely there must be some way, precedent, Canon, etc. 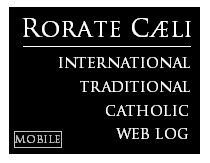 for Rome to enforce liturgical standards throughout the world. If possible, this would be a great means to oust a number of those cardinals/bishops who have shown a weakness or disdain for defense of the faith, tradition and / or a pattern of disobedience to the Holy See! I'm still waiting (and praying) for a new Inquisition to remove the Evil that has infested our Church once and for all! Better a small, devout Church than the large CINO-fest we have today! Sancta Bruno, ora pro nobis. I still remember the alter rail where one receiving Jesus would neel receive the host on the toung only, and only the priest would handle the host. The patern was always used to prevent any particles from falling. Also I remember when there were lines at the confessionals and go to confession weekly. There is no respect for the Jesus today. And you wonder what happened to the Catholic Religion. The minister who said that the Cardinal only expressed his opinion,should realise that he is a confused laity since he does not even know that he is an extra ordinary minister;and that only a priest can be refered to as a Eucharistic Minister!Some priests do not even know the difference. PRIDE is a major factor in standing and receiving on the hand by adults who should know better. I pray and hope that Canizares would impress on the church authorites in Tanzania to stop persecuting those who want to kneel and receive on the tongue. I too have been humbled by the communicants who receive communion from me, as an extraordinary minister of communion, on their hands. Hands which God gave them and which embrace our Lord in love. It is too easy to rely on externals. More importantly is how we take the precious body of our Lord into ourselves, our lives and to the community among whom we live, work and minister. I have no problem with Communion on the tongue except during flu season BUT kneeling is not an option for myself or my sister as we are approaching our seventies...I HOPE THAT THERE WILL BE ALLOWANCES FOR US AND OTHER SENIORS OR DO WE JUST SKIP COMMUNION? Thank you! At last....at last....Hopefully we will be able to see this happen in our lifetime. Actions speak louder than words! I have seen abuses in receiving in the hand. Just recently a woman took Holy Communion in the hand and promptly put it in her pocket. Also, it was in the news a few months ago about a college student who took the host home and a college professor getting someone to get hosts for him. He then desacrated them in many ways, too numerous to mention. I always receive on the tongue, standing. The hands of the Eucharistic Minister of Holy Commuion have not been blessed as the priests have been. Now if we can only convince the bishops and priests. A Novus Ordo RCIA-initiated convert, and subsequently Instituted Acolyte, in former days I received Holy Communion in the hand, and also distributed it in like fashion, as an Extraordinary Minister of Holy Communion (in non-extraordinary circumstances). I was criticized once for delaying the Communion line, when a young teenage boy kept the sacred consecrated Host in his closed hand as he walked off. I looked on with horror more than once, as two different ladies spilt the sacred contents of a (most inappropriate) glass wine goblet down their respective blouses. Another time a fellow acolyte had to chase a witch who received a host and proceeded to exit the church... All in a day's work. Shall I just say that by the grace of God, and with the insights that came from a deepening faith in, and appreciation for, the Real Presence, I realized the deeper reality in association with, and most unfortunate consequences of, my own personal actions. Actions I had, may I add, performed with good intent and always with the encouragement of the clergy concerned. Deo gratias, that never again would my hands touch Him in such a way. Truly, those who see the error of receiving in the hand and not kneeling when possible, have without any question been afforded a glimmer of the rather objective light of Truth. The timeless wisdom of the centuries, expressed so well by so many saints, holds as firm and unchanged as ever. It is not all about subjectively "what we feel" or "what we think" - when we either receive or distribute the Sacred Species. However special or empowered or warm'n'fuzzied we may feel, there is an objectively better way, from which even more blessings will flow. The way of traditional Catholic spirituality - in submission, in humility, in authentic self-awareness, in pursuit of the objective best as pursued over two millenia of consistent tradition. It is just not a community-enriching piece of bread that we speak of. It is He Who Is. He who created us. He who has mercy on us. He who purchased our lives on the Cross. He who poured Himself out in Infinite Love for . As one saint once wrote, if we had the most minimum appreciation for what we are in the presence of Our Lord in the Sacred Liturgy, we would even find it difficult just to enter the back of the church on our very hands and knees. I don't "think" or "feel". I know that my hands are most certainly not worthy to touch the Sacred Species. I kneel (provided I am not infirm) and I receive on the tongue. The Ordinary Minister of Holy Communion distributes the Body, Blood, Soul and Divinity to his flock of sinners, of which I am but one. I am today privileged and most blessed... to regularly hold a communion plate. I help in the proper collection and protection of any small Sacred Particles that may fall during the reverent, adoration-rich distribution of Holy Communion. That is, The Bread of Life. The Bread of the Angels. To be the unworthy one that can reverently "catch" Our Lord as He may fall... that is indeed mind-numbing. I wish you all a blessed and holy Ember Week, last week of Advent, and Christmas season. May the Body and Blood of Our Lord strengthen us all and may we grow in the humility necessary for any growth in our deeper spiritual lives. May we all realize the beauty of our traditions born of wisdom, prudence and insight. May we all treat as Our Lord ever more as He ought be treated. AMDG. it's very sad to see people belittled. In catholics I thought we love and support each other! I'm seventy. at times i can bearly walk. when i was young My family helped me walk up many steps with crutches. people helped eachother. we wore hats and dressed the best we could to honor God. St. Michael prayers were said. Don't please do not be bitter with those who don't agree with you. we all are different. God will judge us you don't need to God bless you always. Not to mention that the Cardinal's "opinion" is the actual law of the Church. Reception of communion in the hand is an indult, an exception to the norm. There is no question that receiving communion kneeling and on the tongue is the normative and preferred form. The argument is whether there is really any longer a need for the indult that allows an exception to the rule. Recall that it was only a year or so ago that the indult that allowed laypersons to cleanse sacred vessels was revoked. Consider also some other important indults that have been revoked in recent history.... this comment may indicate that time is running out for these experiments. Your lips to God's ear, Chironomo. We have gotten nice and pretty words from the Vatican for too many years now. The day Pope Benedict removes Pope Paul's indult for Communion in the Hand and bans it in the Church, is the day I will get excited. Pope Benedict has the power to ban Communion in the Hand any day he wants. "La semana pasada estuve varios días en Perú y tuve la suerte de convivir con los seminaristas del Redemptoris Mater, del Camino. No hay ninguna anomalía litúrgica; es todo conforme con lo que establece el «ordo misae». Lo que sí he visto han sido eucaristías en las que se celebraba sin ninguna prisa, con una fe muy grande y en donde se perciben el gozo y la acción de gracias por el don que allí está aconteciendo." "Last week I spent several days in Peru, and I had the good fortune of being with the seminarians of Redemptoris Mater, of the Way. There is no liturgical anomaly; everything conforms to what the "order of Mass" establishes. What I have seen are Eucharists which were celebrated without any hurry, with very great faith, and where the joy and gratitude for the gift that is taking place are perceived." This Cardinal-Prefect does not toe the traditionalist line which is usually very hostile to the NeoCatechumenal Way.